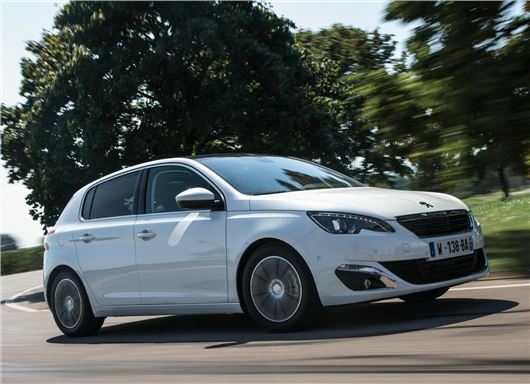 CAP has projected strong, above average residual values (RV) for the latest generation Peugeot 308. Based a 308 Active Blue 1.6 HDi 120, CAP projects a residual value of 34.4% after three years and 60,000 miles – the average for the class is 32.7%. A petrol example – the 1.2-litre e-THP 130 – has a predicted RV 31.72%, against the class average of 28.1%. The strong residuals will give some added appeal to the car for fleet operators, meaning company car drivers are more likely to end up in a 308. The appeal is further enhanced by changes to service intervals across the range from 12,500 miles to 16,000 miles. The most appealing engine in the range for company car drivers will be the 1.6-litre HDi, which has emissions of 95g/km and so falls into the 13% BIK rate. The lowest emitting model in the range is the e-HDI Blue 120 with a CO2 output of 82g/km, which corresponds to combined cycle economy of 91.1mpg. Order books for the new model are open and first deliveries are due in early 2014.